Click the links to learn more about each parador and you can safely book online at booking.com. 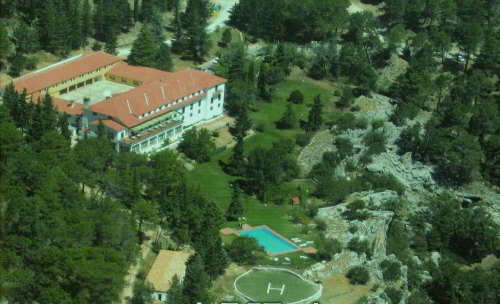 In the Donaña National park, Andalucia you will find the Parador de Mazagón. Click here to find out more at booking.com. Situated in the beautiful Doñana National Park, this magnificent and extensive hotel complex is the perfect place to enjoy a truly relaxing holiday in the sun, in southern Andalusia. 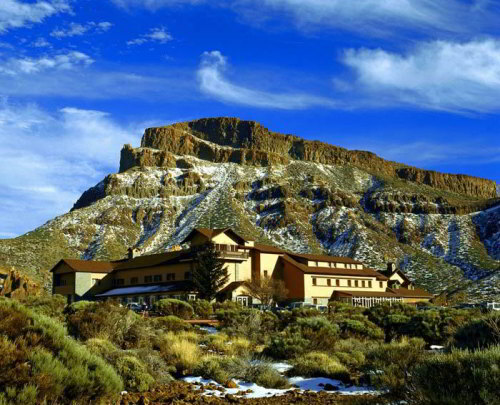 In the The Canary islands there is the fabulous Parador de las Cañadas del Teide. Click here to find out more and make a reservation at booking.com. The Parador de las Cañadas del Teide boasts an unbeatable location, next to a volcano in the stunning Teide National Park that covers the centre of the island of Tenerife. In the Picose de Europa National park…. 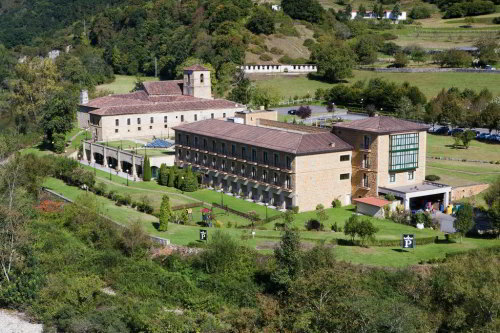 (Cantabria, Asturias and Castilla y Leon) you can find adventure at the Parador de Fuente Dé. Click here to reserve and find out more at booking.com. 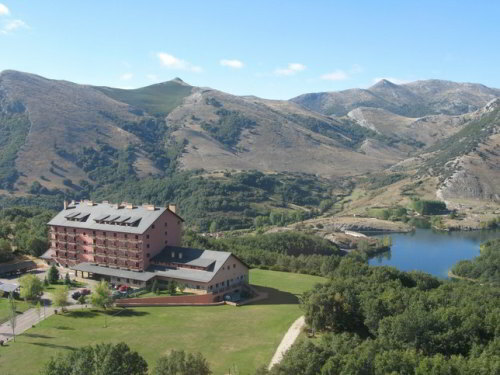 At the foot of the mountains and in the centre of the Picos de Europa national park, this modern hotel has the charm of a rural retreat and takes advantage of fantastic views. Or the fantastic Parador de Cangas de Onís. Find out more and book a room with booking.com. Experience the rich history of this ancient, former monastery, thought to be founded by King Alfonso I. 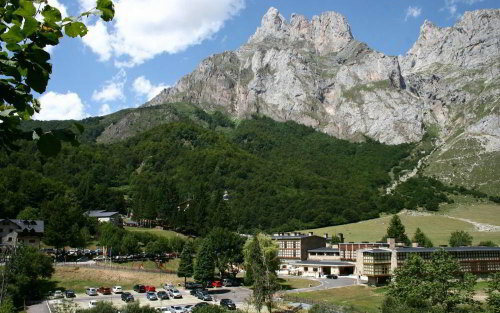 It forms part of a National Monument surrounded by the Picos de Europa mountains. Or maybe the amazing castle Parador Cervera de Pisuerga. Find out more and resererve a room with booking.com. The Sierra de Grazalema and Sierra de las Nieves, Los Alcornocales in Andalucia with the Parador in Ronda as a perfect base to explore. Click here to learn more and reserve a room in Ronda at the Parador. 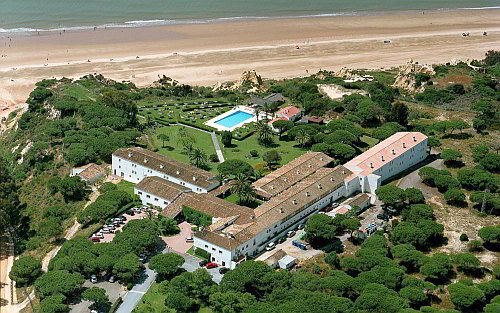 The Parador de Arcos de la Frontera located perfectly between Ronda and Seville. 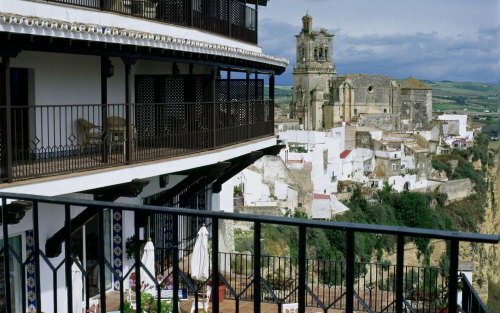 Click here to find out more and reserve a room at the Parador of Arcos. Boasting impressive views over the fertile plains below the Andalusian town of Arcos de la Frontera, this Parador hotel is perfect for relaxation and a great stop over if you are travelling from one side of Andalucia to the other. The Sierra de Gredos Natural Park, Extremadura, Castille y Leon has the fantastic Parador in Gredos. Click here to read more and book a room at booking.com. Nestled in pine forests and beside the Gredos Sierra, this Parador is housed in a stone building dating from 1928. The terrace, library and elegant lounge look out over the lovely gardens. 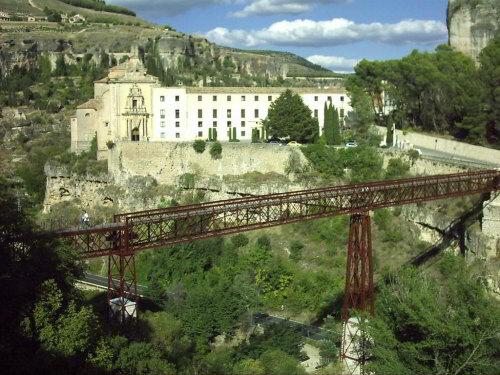 The Sierra de Cazorla in Andalucia has the stunning Parador de Cazorla. Click here to reserve your room over at booking.com. Located at the heart of the Cazorla Nature Reserve, in stunning natural surroundings, the Parador de Cazorla is perfect accommodation for a rural getaway in the north east of Andalusia. 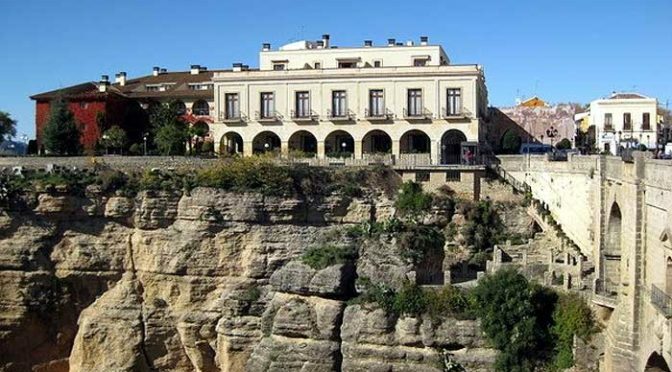 In Castilla la Mancha the Parador in Cuenca has fantastic views of the famous hanging houses. Click here to find out more and book a room at the Parador in Cuenca. Spend a luxurious and relaxing break in the fantastic Parador de Cuenca, with excellent views of the famous hanging houses. 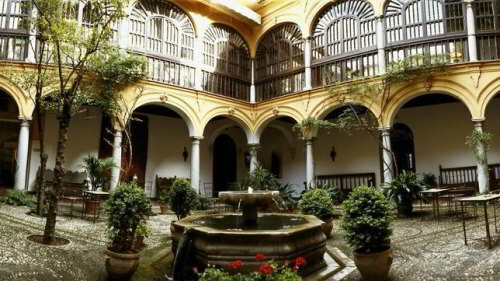 The Parador de Granada is situated perfectly for visiting the Alhambra and the National park of Sierra Nevada. Set within the grounds of the Alhambra Palace, Parador de Granada has a beautiful location. Housed in a 15th-century convent, this luxurious hotel features a popular restaurant.The Parador combines original features including stone archways, beamed ceilings and antique furnishings with chic, contemporary décor. Each room has free wired internet access, a flat-screen TV, air conditioning and a fully equipped bathroom.